* Using only numbers, what is 9 plus 3? Our approach is always synergistic. The spirit of services and respect for our environment are among our core values. 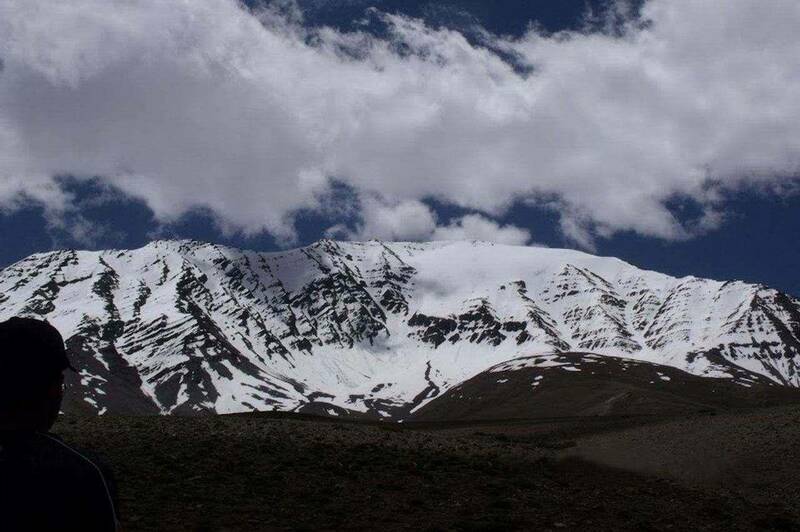 Iquesr Adventures clients are drawn to us because they have an adventurous spirit and are looking for a supportive and frindly experience that any one can enjoy. Our client choose us again and again because they recognize the value of our work and our commitment to delivering an out standing experience. I have never contacted any other agency for organizing any of my treks after coming to know of Iquest ... great effort from your team ... keep it up!" 1. 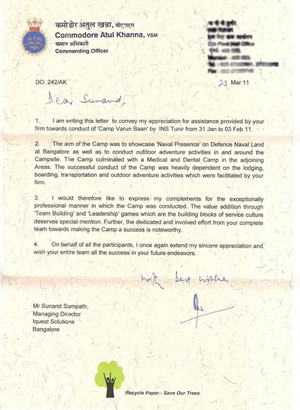 I am Writing this letter to convey My appreciation for Assistance provided by your firm towards conduct of ' Camp Varun Baan' by INS Tunir from 31jan to 03 Feb 11. 2. 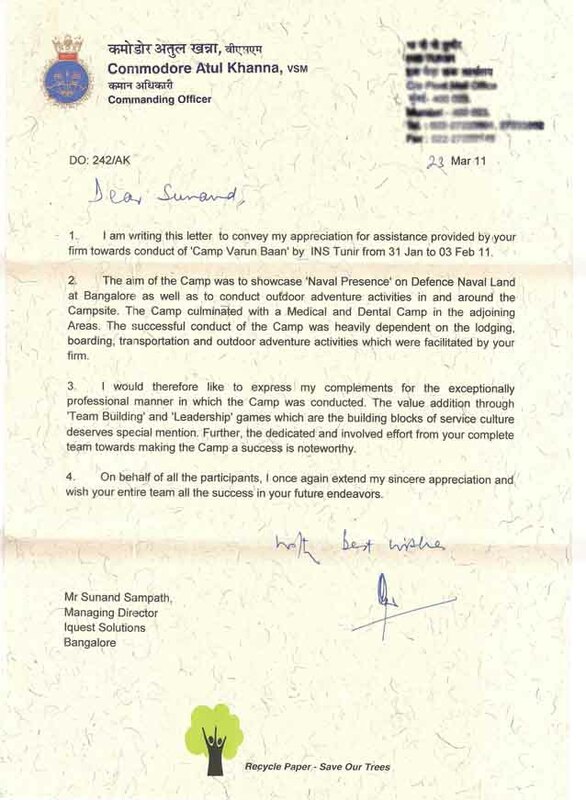 The Aim Of the camp was to Showcase the 'Naval Presence' on defense Naval Land at Bangalore, as well as to conduct Outdoor adventure activities in and Around the Campsite. The Camp Culminated with a medical and dental cam in the Adjoining areas. The Successful conduct of the camp was heavily dependent on the lodging , boarding and outdoor adventure activities which were facilitated by your firm. 4. On behalf of all the participants, I once again extend my sincere appreciation and wish your entire team all the success in your future endeavors." I can't imagine that anyone can do it better than iquest adventures". This mixture of adventure, beauty, culture, authenticity, and luxury is exactly the kind of thing my kind of people desire. It is these kind of multi-sensory, well-rounded experiences that stay in our hearts and minds forever. Thank you for creating something truly magical, and perhaps even life-changing. I look forward to sending many more people your way.